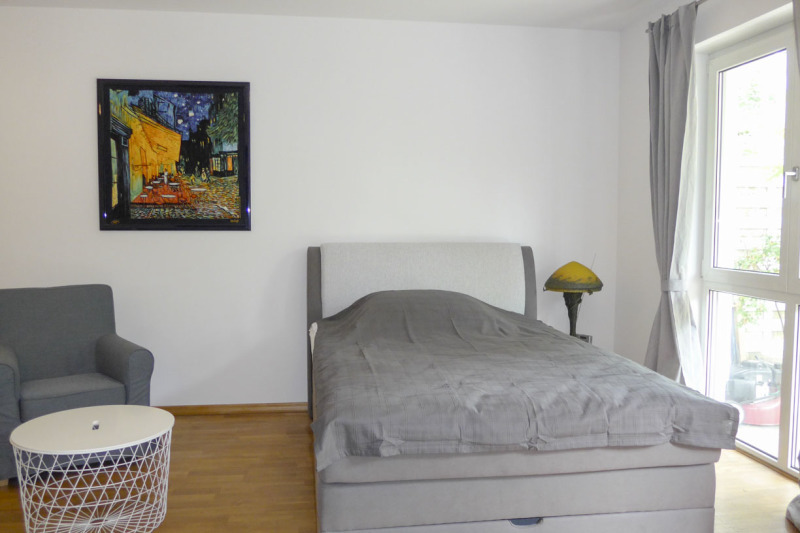 Description of the rental property: This cozy studio is situated on the raised ground floor of a new development. 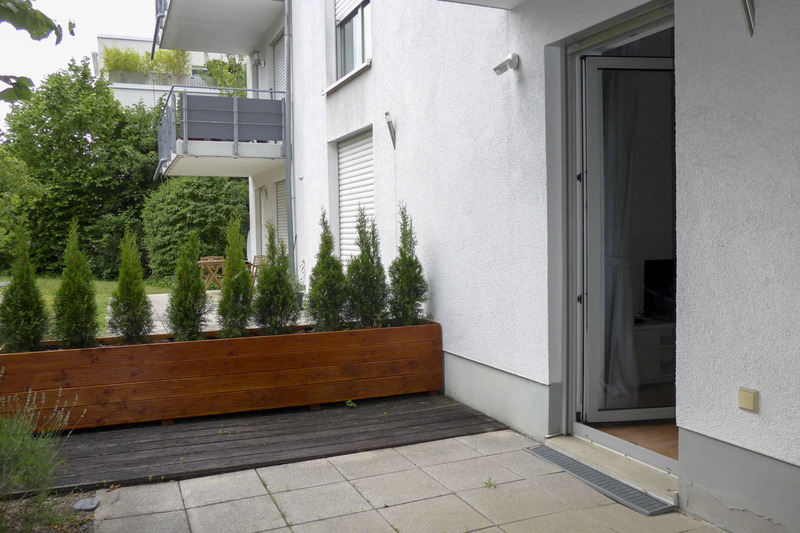 It has a room with an integrated kitchen, a terrace with garden area and a bathroom. New fitted kitchen, parquet floor, bathroom with tub and shower appliances, fitted wardrobe in the hall. The flat features a terrace and garden share. 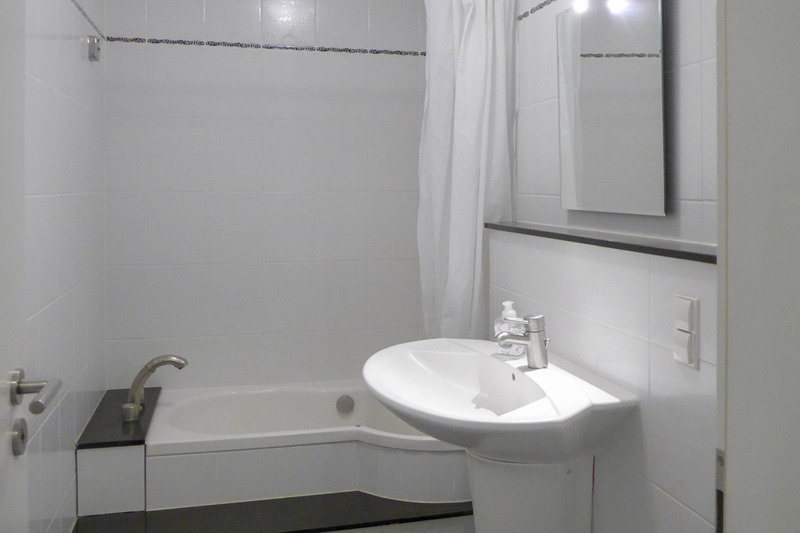 An underground parking space belongs to the apartment (rent 70 € mtl.). Renting optional. Internet and GEZ fees are not included. The desired minimum rental period is 12 months. A new energy pass has been requested. The above information stems from the owner and we can not assume any liability for this. 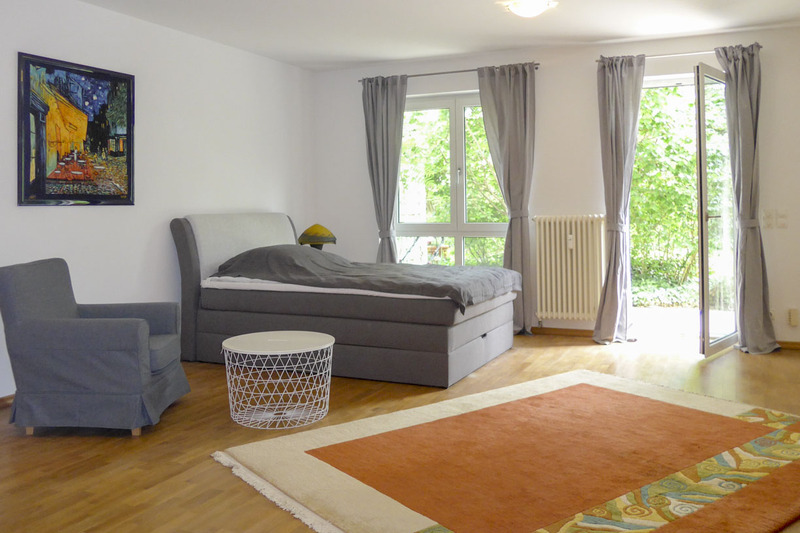 The property is located in a pleasant residential area on Sachsenhausen Hill. Shops including Aldi, HIT supermarket, pharmacy, bakery, post office, dentist and pizzeria are within 5-12 minutes walking distance. Sachsenhausen is a popular, lively district that offers everything for daily needs. Tram 14 is about 10 minutes walk. From there, only a few stops to the South Station and Schweizer Strasse. About 10 minutes to the A3 motorway. 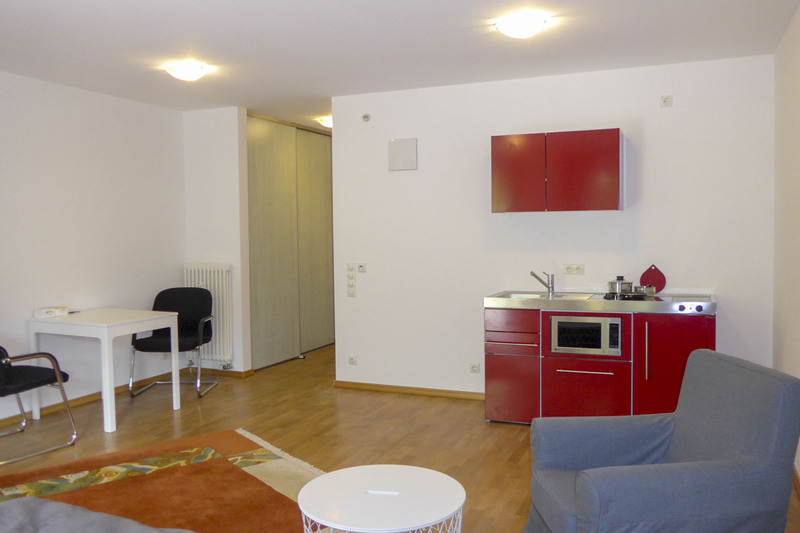 Frankfurt Airport is about 10-15 minutes away by car. It takes about 30 minutes by public transport.